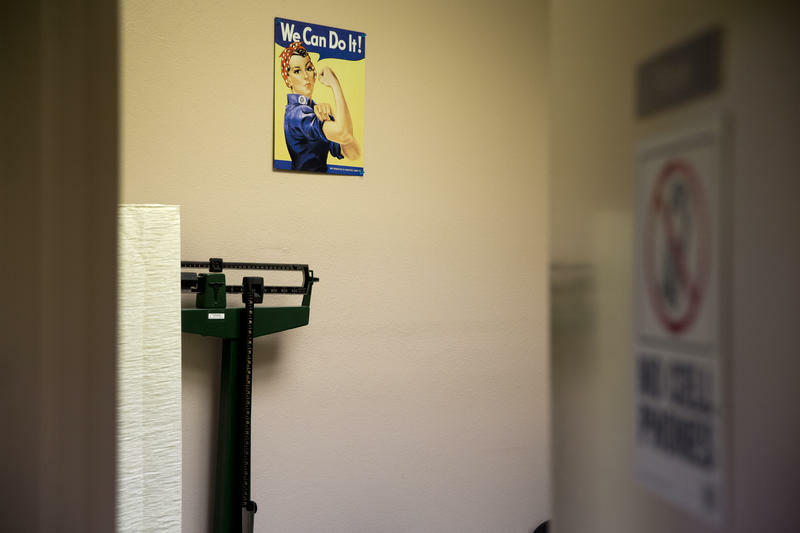 A sign says "We Can Do It" inside a clinic room at Whole Women's Health, an abortion provider in Texas. Pennsylvania legislators are proposing a 20-week abortion ban that would also limit how health providers perform the procedure. A mother and daughter hold hands on Sunday, May 22, 2016, in Birmingham, Ala. This story was originally published Feb. 23, 2017. On Feb. 17, 2016, Kelsey Williams got some devastating news. 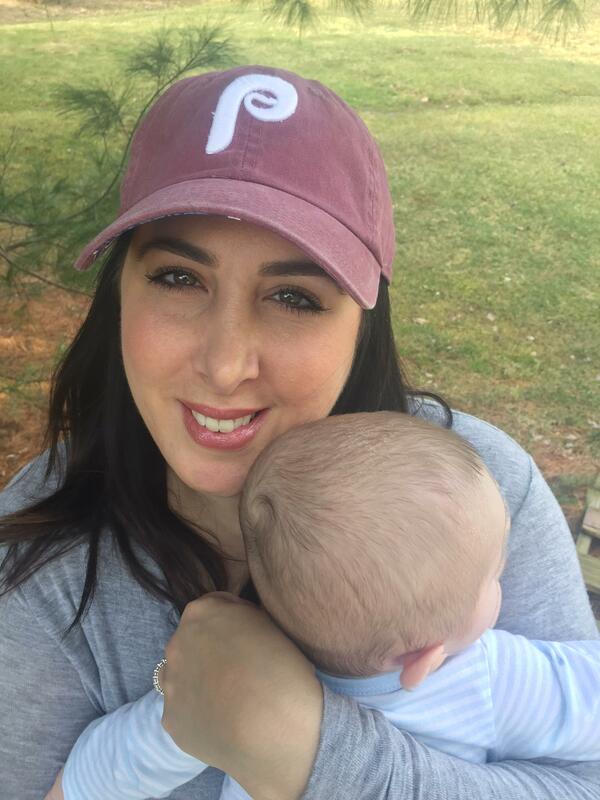 “I went in for my routine anatomy 20-week ultrasound with my second child – my husband and I have a 4-and-a-half year old – and nothing had been indicated as anything but typical up to that point in the pregnancy," she said. Williams, now 30, said the ultrasound technician was quiet for a long time, then went to get the doctor. The physician told Williams her baby had severe clubbing of all four of his limbs and was unable to move. She said it was due to an unexplained genetic anomaly, and that if carried to term, the child might never be able to swallow. Williams said she spent most of that day at Magee Women’s Hospital of UPMC shuffling from one specialist to another. Kelsey Williams, 30, at her Regent Square home on February 17, 2017. Williams and her husband decided to terminate the pregnancy at 21 weeks and 6 days. It’s a procedure that some Pennsylvania lawmakers think should be illegal. Senate Bill 3 – which passed 32-18 by a Republican majority earlier this month – would outlaw abortion after 20 weeks. House Bill 77 does the same, and currently awaits committee action. “It is our duty to protect innocent lives,” said Rep. Kathy Rapp (R-65, Crawford, Forest, Warren), who sponsored the House version of the bill. “It is our duty to be the voice of the voiceless." Rapp said the bill is based on the idea of viability, and that recent medical advances have made it possible for a fetus to survive outside the womb as early as 21 or 22 weeks. Indeed, a handful of children have survived after being born that early, but there is no consensus within the medical community regarding a hard cutoff for viability. “We know that survival of premature babies above 23 weeks has increased in our region with medical advancements,” said Sheila Ramgopal, an OB/GYN in Pittsburgh who has performed abortions both before and after 20 weeks. “However, the majority of premature children that are born at these extreme gestational ages do not survive without significant deficits, including difficulties in sight, breathing, movement and even in cognitive function." Karen Agatone and her husband. Ramgopal said one of the main problems with the 20-week abortion ban is that pregnant women often don’t find out about fetal anomalies until the 20-week anatomy scan. She said, before that, the fetus isn’t big enough to really see if it’s developing normally. “We're looking at the brain, the spine, the lungs, the heart, everything. And so if SB 3 is actually passed, women who are finding out that their pregnancies are abnormal at 20 weeks will have no options to end the pregnancy, even if this was life threatening to the fetus or something that they did not choose to want to continue,” she said. Karen Agatone lives outside Philadelphia, and like Williams, she said her pregnancy seemed perfectly normal at her 16-week ultrasound. Agatone said her doctor told her that her daughter’s condition was incompatible with life, because her lungs would be too underdeveloped to ever breathe on her own. “They basically explained to us that I could...continue carrying to term, which posed a fair amount of risk for me, because of where my placenta was actually placed and how her malformations were going to continue to grow within the womb,” she said. “But they said that I could continue to carry to term and she could potentially be stillborn at any point." 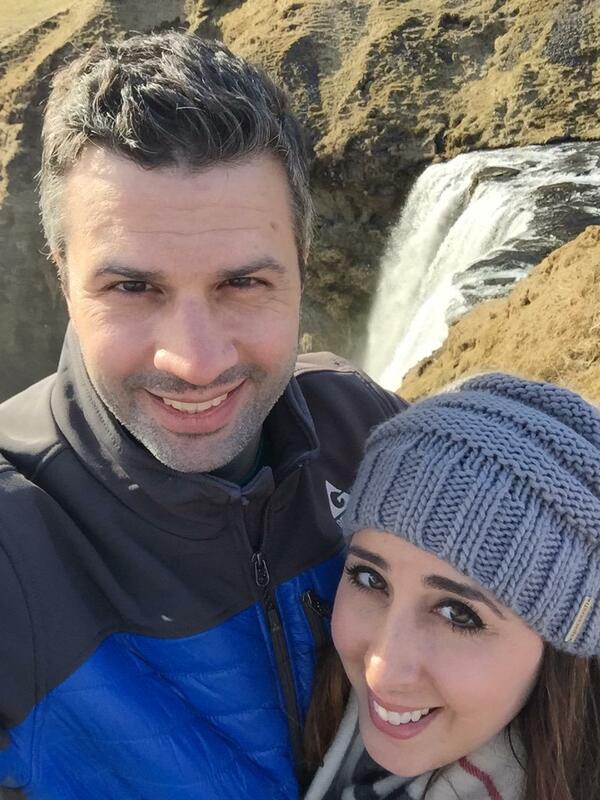 Agatone said she and her husband decided to terminate the pregnancy, and at 21 weeks, she had an abortion. Agatone and Williams both argue that no one but the parents should have the right to decide if a pregnancy should be brought to term, especially in cases of severe genetic anomalies. Karen Agatone with her 3-month-old son. 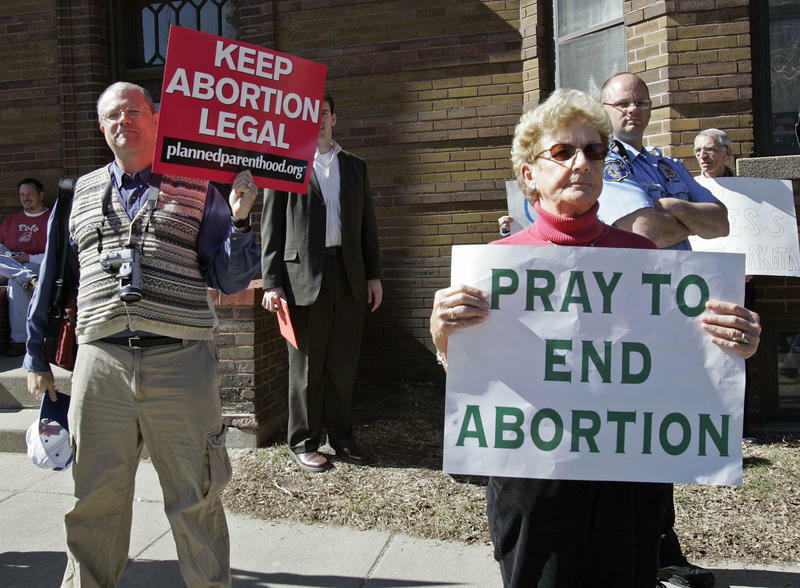 The bills would do more than outlaw abortions after 20 weeks. They both also ban what the medical community calls the dilation and evacuation method of abortion, or D&E. The bills call it “dismemberment abortion” and specifically references procedures that involve the use of clamps, grasping forceps, tongs, scissors or similar instruments. Ramgopal said the bill includes language that abortion providers oppose, and that D&Es are typically required for abortions in the second trimester, after 13 weeks. Before that, doctors will opt for dilation and curettage, or D&C, which uses suction to remove the fetus. Without the option of D&E, women having abortions between 14 and 20 weeks would have to undergo induction of labor. In 2014, the most recent year for which data are available, 328 abortions were performed after 20 weeks gestation in Pennsylvania, just a little more than one percent of the 32,000 abortions performed that year. Pennsylvania doesn’t collect data on why women elect to have abortions, but according to a 2004 nationwide survey by the pro-reproductive rights policy group the Guttmacher Institute, a combined 25 percent of women said they were concerned about the health of the fetus or their own health. Pennsylvania Gov. Tom Wolf has said he would veto the bills should they make their way to his desk, but House Speaker Mike Turzai (R-Allegheny) said he’s not so sure. If Wolf does veto, it’s not clear whether the House will have the votes it needs to override. The Senate was one vote shy of a veto-proof majority when it voted on its version earlier this month. But proponents of the bills say, if vetoed, they will be introduced again in the future. 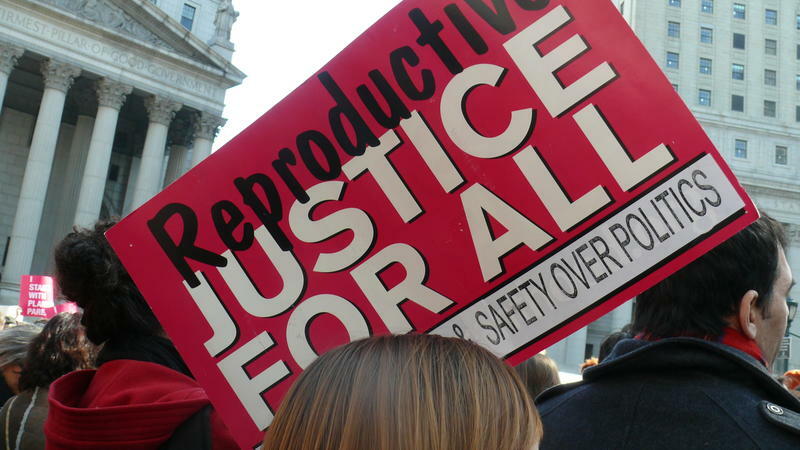 If that happens under a Republican governor, the 20-week abortion ban could become commonwealth law. Williams said she thinks about having a second child one day, but that the experience of terminating a pregnancy for medical reasons has made her even more grateful for her daughter. Agatone gave birth to her first child, a son, three-and-a-half months ago. 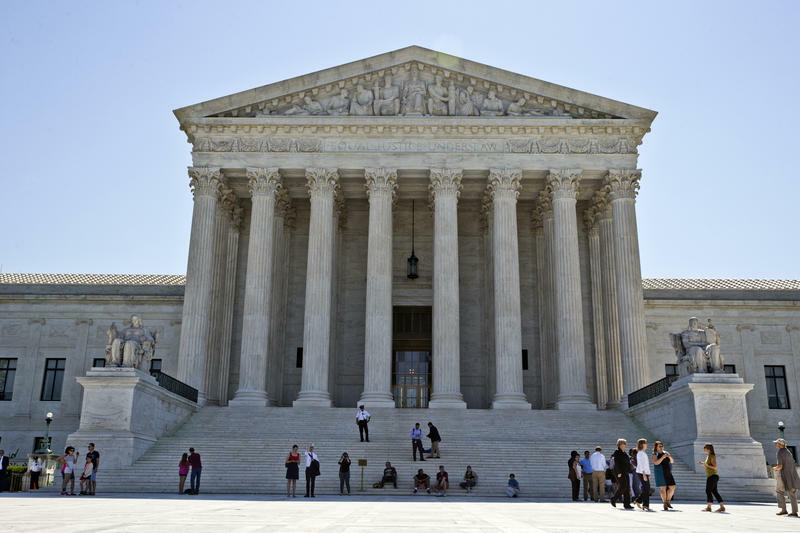 The United States Supreme Court ended its current term on Monday with some important decisions, but University of Pittsburgh law professor David Harris said the most important event of the term was not an opinion at all.